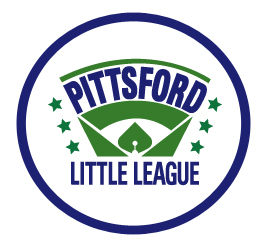 For more than 60 years, Pittsford Little League (PLL) has provided an educational, fun and encouraging baseball and softball experience for players 5 to 15 years of age. Today, PLL’s Board of Directors and our young athletes invite your company to join this longstanding local tradition as a financial sponsor of our 2019 season. Your support allows kids to build more than just athletic skills; powerful lessons in leadership, perseverance, discipline, sportsmanship and teamwork happen on that field. If you played Little League as a kid, you know what I'm talking about. The experience helped shape you, and the memories last a lifetime. On average, more than 850 children play on a PLL team every year, and their families attend at least a dozen games. Hundreds of our older Little Leaguers and Travel teams play throughout Monroe County, offering even more company exposure. Every dollar of your tax-deductible sponsorship will help us improve and renovate our facilities, maintain our fields, replace worn equipment, purchase uniforms and more! On behalf of the players and our entire PLL family, thank you so much for your consideration and support. Let's hit it out of the park in 2019!